As a parent in San Bernardino, I celebrated the passage of Local Control Funding Formula (LCFF) and the commitment I believed our state was making to support low-income students, English learners, and foster youth with the additional programs, services, and resources they need to be successful. I also celebrated the focus on local decision making and the opportunity for parents like me to be involved in improving education in San Bernardino. But today, I am not celebrating. Today, I am worried that Local Control Funding Formula will fall short of its promises, based on the draft regulations that have been sent to the State Board of Education for their review on November 7. I am worried that the regulations will not require districts to do as the law says – to spend LCFF money to provide more support and services to students who have not been served by our current system. That is what will be needed to improve their achievement. I am also worried that districts won’t be required to provide parents like me with the information I need to track funding and be a real partner in local decision making. Meetings held in locations and at times that allow parents like me to participate. These are just a few specific ways in which the state could provide clear direction and examples to districts. The state should also be a model for what it means to invite parents, students, and community to be partners in making decisions. So far, that hasn’t really happened. The state’s implementation working group did not include parents of English learners, low-income students, or foster youth – or the students themselves. That’s a problem. As long as we are not at the table, schools and districts, and even the state will continue to make the same decisions over and over again – decisions that have not supported or benefited all children equally. I have five children attending San Bernardino schools, and a son who graduated from the district and is now attending Cal State San Bernardino. Through my involvement in my district I have seen first-hand the challenges facing students, especially English language learners, many of whom are also low-income. Too many of our students go through school and never get reclassified as proficient in English. That means they never get the courses they need to go straight to college right after graduation. This is a serious problem in San Bernardino and around the state. Funds available through Local Control Funding Formula can and should be used to support these students through programs and services that will help them to be reclassified as fluent in English and to get enrolled in courses they need to graduate high school ready for college. That is what I want for my children – it is what all parents I work with want for their children. With local control funding formula we have a chance – all of us – to do things differently. We have a chance to do things better. I hope and pray our officials have the courage to do what it takes to help us all realize the promise of this historic reform. 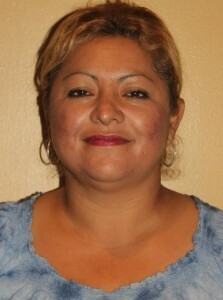 Elizabeth Romero is the mother of six children a parent leader with Inland Congregations United for Change, part of PICO California.